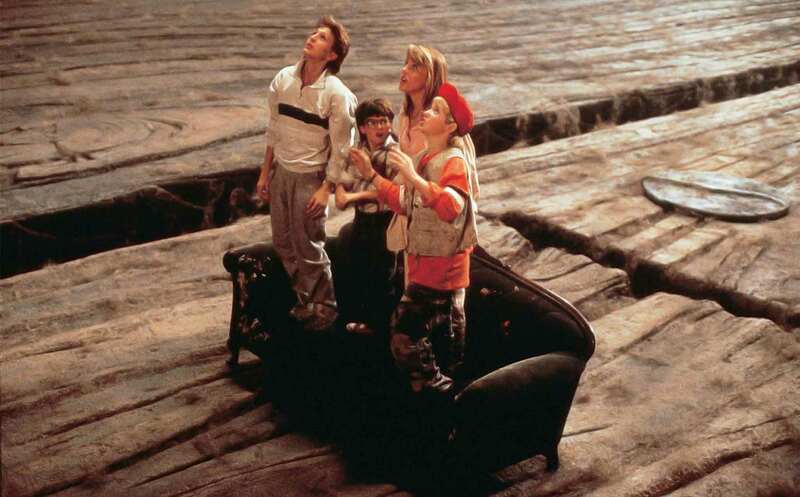 Nov 10 7 Failed Sequels to "Honey, I Shrunk the Kids"
Uh-oh! Wacky mad genius Rick Moranis (Rick Moranis) takes a job teaching pseudoscience at childrens’ high school! Things get hairy (uh-oh!) when Mr. Moranis brings his shrink ray to school for a demonstration. Unfortunately Rick Moranis’ horrible, disobedient filth children sneak into his classroom and use the shrink ray to shrink the cafeteria lady (uh-oh!). To punish them, Rick Moranis is forced to fail his kids. As you can imagine, his wife is NOT happy, they get a divorce (uh-oh!). The end. Honey, the Kids Shrunk Me! Uh-oh! In this comic romp, the miscreant children of wacky mad genius Rick Moranis (Rick Moranis) seize the means of their torment, the shrink ray, and turn it against their oppressor, their terrible (uh-oh!) father, Rick Moranis. Once they have shrunk their tyrannical papa, the tykes proclaim a new dictatorship of the proletariat, with the oldest, Rick Moranis Jr. (Rick Moranis Jr.) at the head. This film was shut down by the Walt Disney Corporation for having “subtle communist overtones” (uh-oh!). Uh-oh! The first sequel to CLASSIC family comedy Honey, I Shrunk the Kids wasn’t always as polished as it came out to be (uh-oh!). While the finished product is about wacky mad inventor genius Rick Moranis accidentally using his grow-ray (the opposite of a shrink-ray) to make one of his children gigantic, the original treatment was a bit more…gruesome (uh-oh!). In writer Tom Schulman’s first draft, wacky mad genius inventor Rick Moranis forces his eldest son to swallow a bomb and then detonates the bomb, painting the walls with his son’s blood (uh-oh! ), flesh (uh-oh! ), and bile (uh-oh!). As Moranis cackles and jeers and hollers, he is too covered in his son’s remains. Uh-oh! Wacky mad genius inventor/wacky mad genius greatest basketball player of all time Rick Moranis (Michael Jordan) has invented a basketball science ray that can turn anything in the world at all into a good ol’ basketball ball! Things get a bit out of hand (uh-oh!) when Rick Moranis’ son, Rick Moranis Jr. (Kenny “The Jet” Smith) messes around with the machine in a wacky sequence that ends with Rick Moranis Jr. turning himself into a basketball ball (uh-oh!). 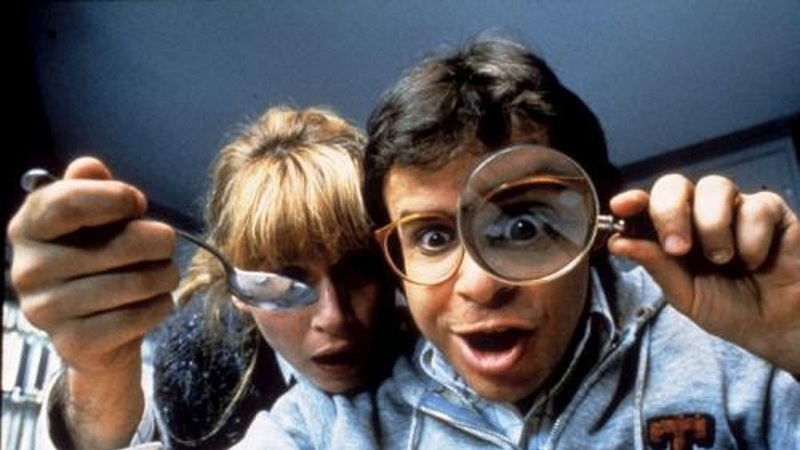 Discovering a basketball in his laboratory, Rick Moranis experiences an anagnorisis, or tragic realization (uh-oh! ), that his hubris as an inventor/greatest basketball player of all time has caused the end of the life of someone he loves (uh-oh!). He then dunks the basketball ball several times in a totally rad montage (totally rad!). Dear, I Have Miniaturized the Children! Dear me! In this jolly good British take on a Yankee classic, Honey I Shrunk the Kids, the odd and loony genius invention-maker and voting member of the House of Lords Lord Ricksy Moranisgate III (Lord Ricksy Moranisgate III) creates a sort of miniaturizing machine (dear me! ), fully intending with the best of intentions to use it only in the advancement of the Queen’s will and the dominion of the British Empire! Moranisgate III uses it quite Britishly at first, turning absurd large cups of tea (dear me!) into much more respectable, regular sized cups of tea. However, things get a bit Scottish (dear me!) when Lord Ricksy Moranisgate III’s son, Lord Ricksy Moranisgate IV (Lord Ricksy Moranisgate IV) discovers the splendid miniaturizing device (dear me!). “Pip pip cheerio there thou miniaturizing device ray machine,” the lad says in a British accent, “I’m a proper guv’nah gentleman I am, and a proper scientist at that just like my dear ol’ pop Lord Ricksy Moranisgate III. I say, I say, I can use this miniaturizing device ray machine like any twit I can, pip pip, and so then I will there cheerio pip pip” (dear me!). Of course the nitwit lad ends up jobbling the miniaturizing doo dad all incorrectly (dear me! ), and he ends up miniaturizing his very own self (dear me! ), shrinking himself down to a mere metric system centimeter! The good Lord Ricksy Moranisgate III discovers his miniaturized boy, he gets quite mad and gives him quite the earful (dear me!). Pip pip. Uh-oh! In this 2002 historical drama wacky mad Polish-Jewish genius inventor pianist Rick Moranis (Adrien Brody) invents a shrink ray, but unfortunately, the Holocaust happens (uh-oh!)! Rick Moranis and his family are forced to wear armbands with the Star of David on them, before being forced to live in the Warsaw ghetto (uh-oh)! While in the ghetto, Rick Moranis practices the piano and shrinks his kids (uh-oh!). The Holocaust keeps happening. A German officer hears Rick Moranis playing the piano and gives him food. The Holocaust keeps happening, Rick Moranis shrinks more children (uh-oh!). Eventually, all the children are shrunk and they can escape. The Holocaust ends (yay! ), but the children can never be unshrunk (uh-oh!). Rick Moranis (Adrien Brody) plays the piano some more.